Top-quality galvanized 1 brads fit the Grex Green Buddy 18-gauge Brad Nailer (44265, sold separately). Package of 5,000. 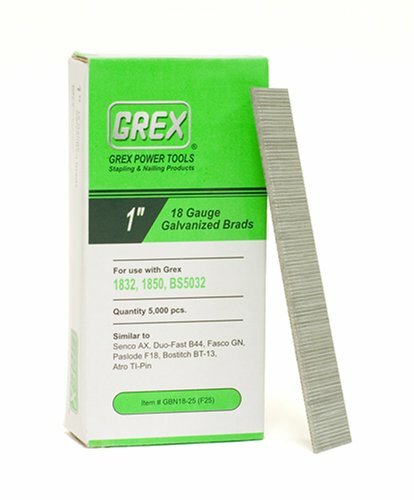 If you have any questions about this product by Grex Power Tools, contact us by completing and submitting the form below. If you are looking for a specif part number, please include it with your message.